Everyone that pays for early bird admission between 8:00-9:00 a.m. will be entered into a drawing for a $50 Gymboree gift card. The winner will be drawn at 9:15 a.m. and must be present to win. $5.00 Early Bird Admission from 8:00 am - 9:00 am $1.00 from 9:00 am – Noon Cash sales only. No bills larger than $20.00 accepted. Questions? Visit wecpta.org/kiddiekloset or email kiddiekloset@wecpta.org. The Best Children's ReSale in Town! Tables will go on sale to the public at 8am on Sunday, September 10th. Cafeteria spaces - approximately 9’ x 9’ with a 6’ round table and 2 chairs for $25. Gymnasium spaces - approximately 15’x15’ with 2 chairs (no table) for $30. Additionally, we have 3 large spots in theCafeteria measuring approximately 15'x15' with a 6’ round table and 2 chairs for $30. Email your table requests tonrchildrensresale@gmail.com beginning Sunday, September 10 at 8 am. Please do not send table requests before 8 amas they will be processed last. The spaces sell quickly so we encourage you to provide first choice and second choice table requests. Requests are processed in the order in which they are received and are assigned on a first come basis until all tables are sold out. *Please note that the resale is held from 8:00am - 1:00pm. Therefore, tear down of your table(s) will begin at 1:00pm. Vendors who tear down early may be prohibited from participating in future resale events. Let us know if you have any questions and please share this information with anyone you know who might want to participate in this amazing sale!! Little Veterinarian School encourages pre-K and elementary school children to role play and explore the exciting world of veterinarians. Using interaction demonstrations, crafts and games, kids learn how to take care of a pet and use instruments that real veterinarians use. 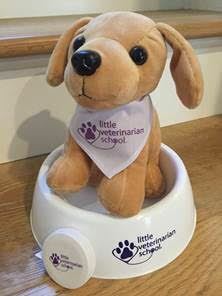 Kids adopt and take home a stuffed LVS school dog. Kids also receive a white coat, water bowl, journal and dog bone cookie cutter. Weekly topics: What's in the Veterinarian's Office, The ABCs of Dog Care, Laceration, Sick of Ticks! Immunizations, Medical Fun and Graduation! 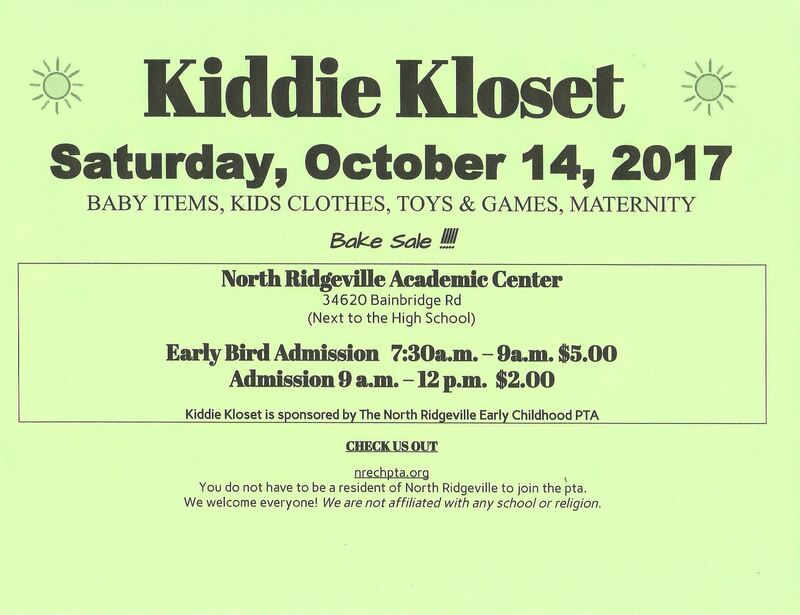 Come shop until you drop at the Avon Early Childhood PTA Fall Kids Kloset Sale at the brand new Middle School! Shop for gently used baby/toddler/children's clothing, strollers, high chairs, toys, books, maternity, carriers, and much more at the BVECPTA's annual Fall Resale. There will also be a raffle for early bird shoppers only - a $50 gift card to every mom's favorite place, Target. Avon Lake Rec Soccer has programs for kids starting with a 2013 birth year. It is the Mini-Micros program and is a one hour fun practice, games, mini scrimmage for kids that age. A more structured weekly practice/Saturday games exists for kids born in 2014 and older.